There’s no more prestigious honor for an athlete than appearing on a Wheaties box. That is, if you don’t count things like Championships, MVP’s, and hall of fame inductions. Wheaties was actually invented when a clinician spilled a wheat bran mixture onto a hot stove. Turns out it tasted pretty good. 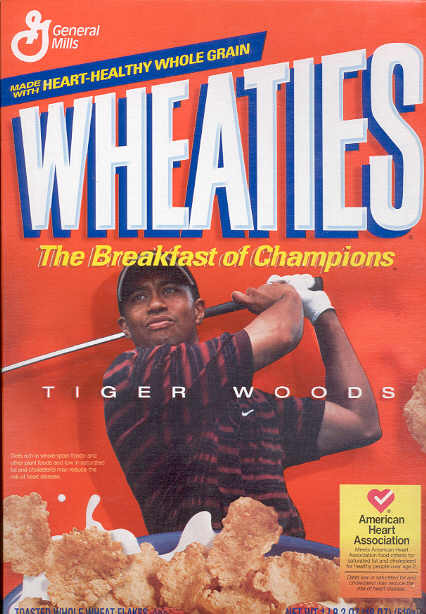 Although the original name of Washburn’s Gold Medal Whole Wheat Flakes didn’t stand, Wheaties became intertwined with sports in the late 20’s and that connection has stood ever since. That brings us to our Question of the Week. Get it right and I’ll serve you breakfast in bed. The answer, as always, is after the jump. Answer: Lou Gehrig. The Iron Horse appeared on the box in 1934.